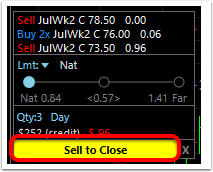 Option contracts can be held to expiration or, as they often are, traded prior to expiration. 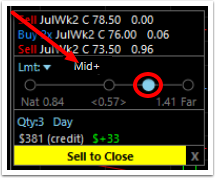 With multi-legged options, the entire position or any legs within the position can be closed at any time prior to expiration. 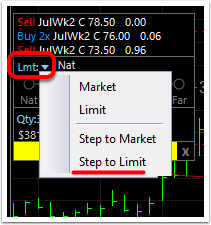 Below are the simple steps to close an existing multi-legged option position from the chart. 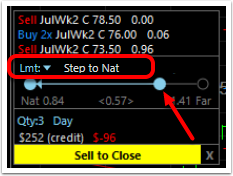 This opens the menu allowing the position or legs to be Closed or Rolled (click here for instructions on rolling a single-legged option). 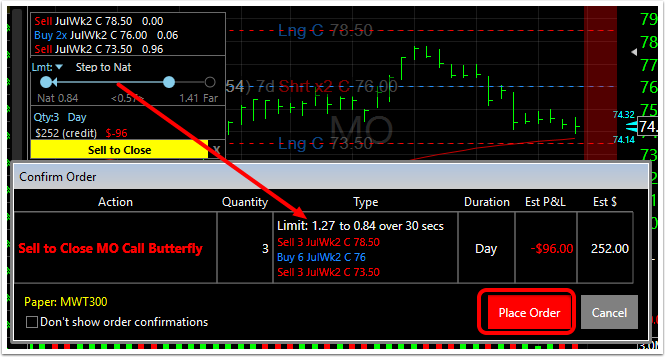 This will place a close position order ticket for the multi-legged option on the chart. Combine the order in an OCA (Once-cancels-all) group with any other Sell order on the chart. 3. If no changes are desired, simply click Sell to Close and confirm to place the order. This opens the menu allowing the position or legs to be Closed or Rolled. 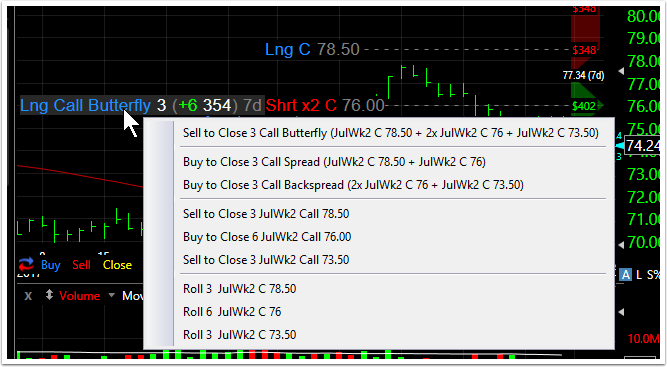 This will place a close position order ticket for the selected option leg(s) on the chart.